At the beginning of March 2019 my partner and I became co-managers and owners of Cumbria Therapies. This is a well respected therapy centre which was based in Norfolk Road, Carlisle. The previous owners, Marion and George Dunlop, decided to retire and we negotiated to take on the business at a new location, Bourne House, Milbourne Street, Carlisle. We have a group of highly skilled and experienced practitioners who have come with us to Bourne House, and we are in the process of building a new website which will reflect the level of expertise we can offer in a range of healing disciplines. 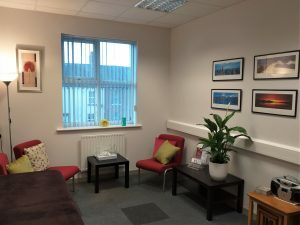 Even at this early stage we can offer Acupuncture, Acupressure, Massage (with either male or female therapist), Counselling for adults, adolescents and couples, Reiki and Colour Therapy. This is a hugely exciting development and we look forward to telling you more about our therapies on the new website; www.cumbriatherapies.com.